In today’s Freelancing Stories episode I’m honoured to be joined by one of my loveliest clients and biggest inspiration. 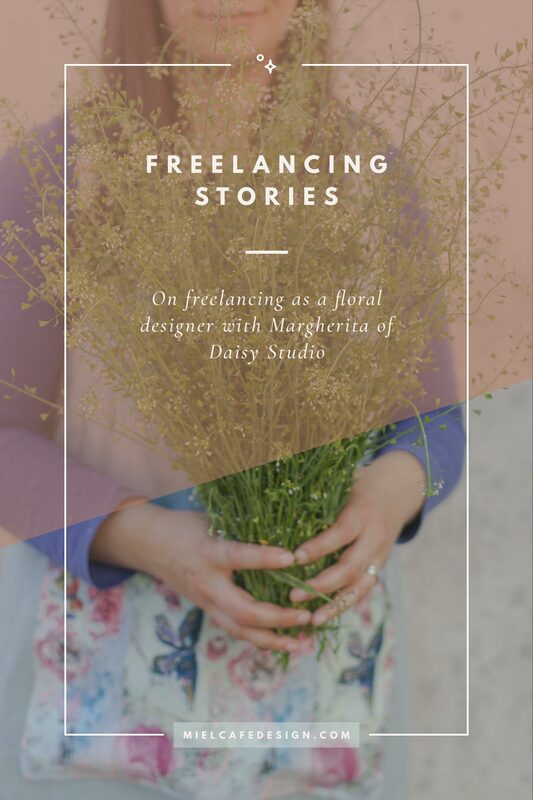 Margherita of Daisy Studio has joined me to share her experience with freelancing as a floral designer. And I couldn’t be happier about it! We started out our businesses around the same time, and she was my first dream client. Her business was a huge inspiration when I decided to go freelance. Margherita simply impersonates the will of changing things (for herself and for the environment), the power of believing in her own dreams, and the courage of taking the risk. Today we’re talking all of that and much more… So keep reading! 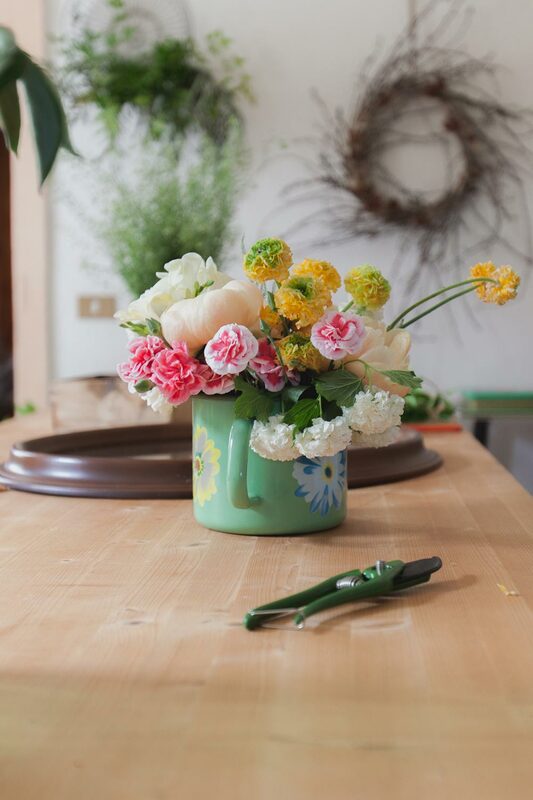 I’m the floral designer behind Daisy Studio but also an authorized naturalistic guide here in Veneto, Italy. I work with flowers and nature in so many ways. 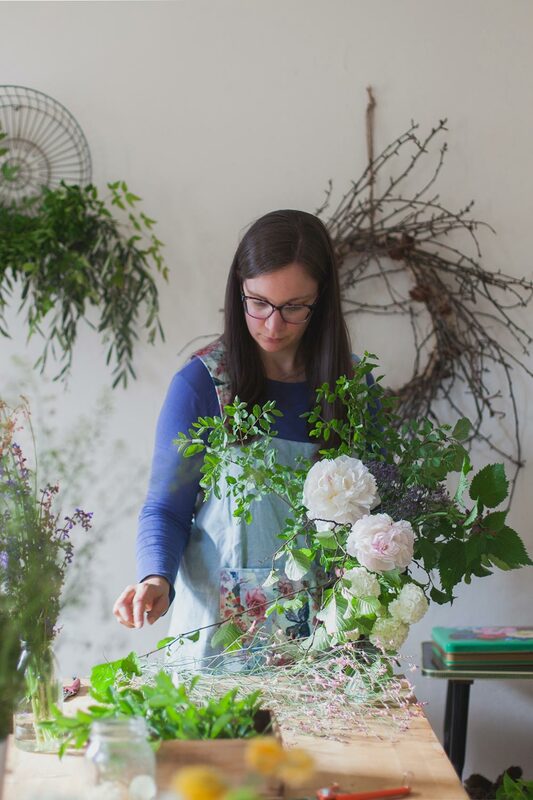 I run workshops, floral walks, and also make floral creations from natural materials… I offer services dedicated to weddings and events, but also consultations for making your green spots even greener! 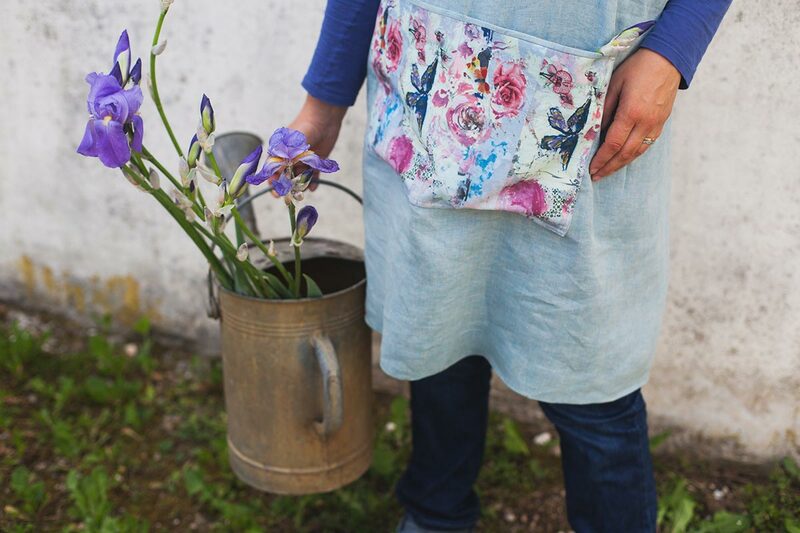 Basically I’m both a florist, scientist and artisan – and yes, I’m never bored, really! How did it all begin? When did you decide to go for it? My passion for flowers and nature has always been there, ever since I was a child. After university I started dreaming about freelancing as a floral designer. But I’ll be honest here and say I didn’t find the courage for a few years. Only when I became a mom I gave myself permission to give it a try. At first I dedicated all of myself to my girl, but thanks to her I started chasing my dream once again. I wanted (and still want) to teach her that dreams can come true, for real! It can be tough, but if you really believe in your strenghts, you can make them into reality eventually. What was your biggest goal or dream when you started? Well, in the beginning even the smaller of steps felt like climbing a mountain! My biggest dream has always been to find a way to propose myself as a floral designer with a new service. To combine flowers, beauty and sustainability into a service dedicated to weddings and events, where aesthetic and ethic could become one single thing! Unfortunately flowers are not always ethical. Actually most of the times we buy flowers, they are imported from far away, forcibly cultivated with negative impacts on the environment. We owe it to our planet and to ourselves, to do whatever possible to change things. So when I started freelancing as a floral designer, my aim was to propose something local, ethical and especially natural. How was it, when you took the risk? Anything you didn’t expect? Freelancing seems so easy from the outside! But when you’re into it, it’s not that easy at all. Yes, you’re doing the job you love and chose for yourself. You’re lucky to do that one thing that truly passionates you everyday. If one morning you feel like staying in bed a little longer than usual, you can even afford to do it… But then you’ll stay up all night to catch up with work and try and meet all the deadlines. A rigid discipline is fundamental when freelancing. Especially because you’re basically always working in solitary. And the only place you can find the energy and strenght to do it all by yourself is within you. Even if one day you feel ill, or if you have a tight deadline but your child has a terrible cold, it’s all on you. Maybe for women is even harder, because most of us are or will be moms at some point. So yes, this is something I wasn’t expecting, for me to find it that challenging to conciliate family and work! Did/do you have to face adversity? When you work for yourself, every single day is a proper challenge. You’ll often have big dreams but a rather small budget, or at least this is my case! But if you have the right passion, you’ll get through it. The one only thing I would totally do without are boring admin tasks! Ah if there was a way to avoid all of that bureaucracy! What’s your biggest goal for your freelance career at the moment? Right now I’m in the process of building my own garden. I gave it a try several times in the past, but now I really want to make it into reality. I’m building my own small and local cultivation of flowers and plants, to use within my floral services and workshops. They’ll be all local, fresh and natural, of course. This year my goal is to sow a lot, and hopefully start a small but nice production of my own! Tell us your secret! Your best tip about freelancing? Never give up and work towards your dream. Nothing is impossible. It might take months, even years (and also a few tears)… But if you truly belive in your dream, you can do it! Want to be featured in the next episode of Freelancing Stories? I’d love to hear from you! If you run a freelance business (of any kind) and would like to share your inspiring story, please feel free to get in touch! So true that you have to work hard and not give up! Not give up! and Not give up! Doesn’t sound very romantic, but it is a truth that keeps me going through the hard and the tears. I’m Giada, the Italian freelance brand and web designer behind this graphic studio. On this blog I'm sharing my journey running a freelance business, design tips and knowledge and updates about my work. Thanks for stopping by!